Dower chest carved 1923 for Mollie (Mary) Field . Who was Nellie Payne? Dower chest for Mollie Field. 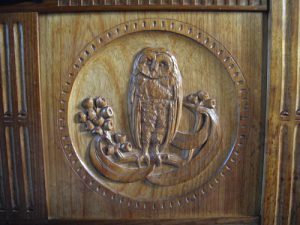 Close up Owl on Mollie Field’s dower chest. 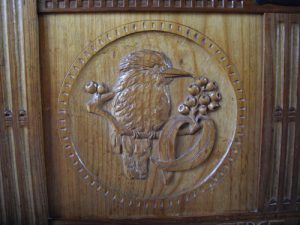 Close up Kookaburra on Mollie Field’s dower chest. 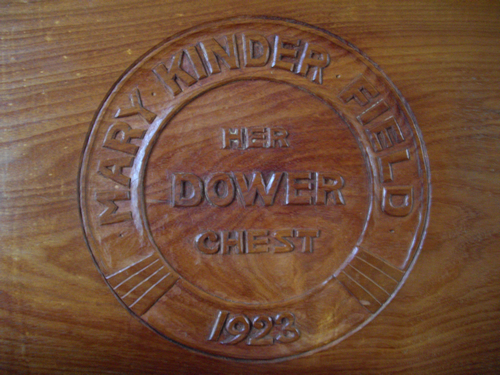 Close up inscription inside lid Mollie Field’s dower chest. Mollie Field was born in 1898 to George Westfield Field and Ethel Field (née Archer). After marrying in 1891 George and Ethel made their home at “Waterlea” near Westbury and George helped manage “Westfield”. They later moved to “Forest Hall” at Elizabeth Town. 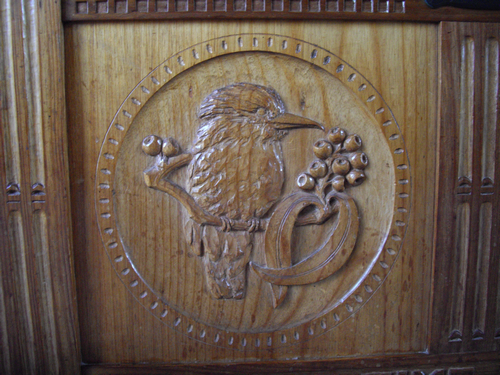 George had inherited property near Kimberley and in 1902 built a house on the property which is now called “Moorlands”. Mollie was an accomplished musician often playing the piano or organ in churches or for dances, weddings or concerts. She married Henry Pedley, her cousin, and they ran “Craythorne” as a mixed farm. They had four sons, Edward, David, Geoffrey and Kenneth. Mollie and Henry retired to Hawley, and after Henry’s death Mollie moved to Launceston. Mollie enjoyed a two month trip to England at the age of 81, and remained a very vital lady until the time of her death, a few months after her 100th birthday in 1998. 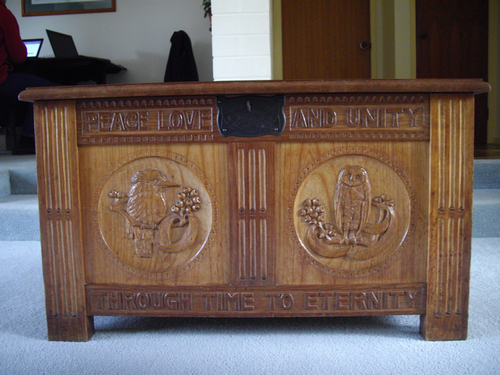 Mollie’s chest is now treasured by her granddaughter Felicity who lives in Victoria.